Receive up to 40% off accommodations and discounted 3-day general admission tickets to the Carolina Country Music Fest. Discounted General Admission tickets are $183.50pp and NOT valid for the Kick-Off Event on Thursday, June 6th, 2019. General Admission Tickets are not valid for the Kick-Off Event on Thursday, June 6th, 2019. Room savings based on Rack Rate. No other discounts apply. Ticket discount while supplies last. We reserve the right to require a minimum night stay at any time of the year. Weekends May Incur A Surcharge. Black Out dates apply. Rates Are Subject To Change Without Notice. Taxes, resort fee, and city fee are additional. Not valid on pre-existing reservations. Some room style exclusions may apply. Limited number of rooms available. 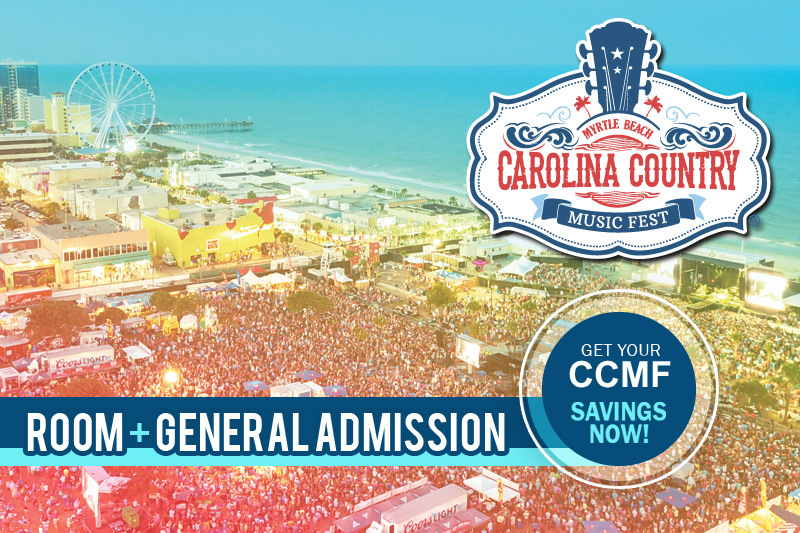 All CCMF tickets included in purchased packages or individually are non-refundable.